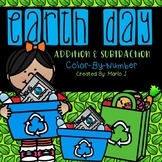 Here are 20 EARTH DAY themed word problem to introduce, teach and practice problems solving skills. 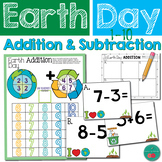 There are 5 addition word problems, and 5 subtraction word problem pages. 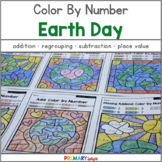 Each page features a word problem, space to draw a picture, number line, blanks for the equation and a space for the answer. 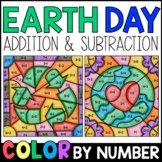 Here are 4 Addition & Subtraction Color-By-Number sheets, great for extra practice, morning work, math stations and much more! 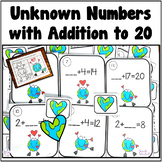 Covering numbers 1-10 and 1-20. 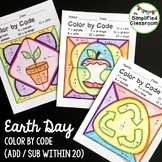 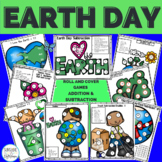 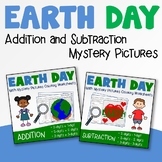 Earth Day Addition and Subtraction mystery pictures are great for warm ups and math centers. 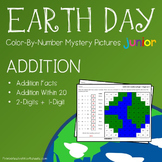 9 mystery pictures total, with 5 addition and 4 subtraction pages. 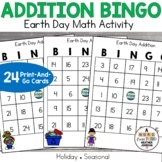 Great for math fluency practice! 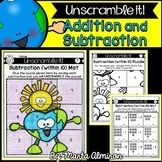 This is two worksheets with 18 two-digit addition and subtraction problems on each worksheet. 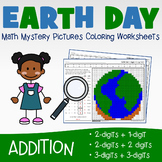 There are problems with and without regrouping on each worksheet.